Building a New Home. Need Help & Advice! Hi Everyone. I’m new to the community as of today. My wife and I are in the process of building a new home and the contractor recently told me to start thinking about what I want the electrician to do. I hadn’t put much thought into a smart home before, but I have spent probably 50 hours of reading in the past 2 weeks. I have some questions and I wanted to share what I’m looking to do. I’m hoping you all can help guide me and/or offer some advice as far as setup, what brands, if I’m forgetting or missing something, etc. I apologize, but this is going to be long. Home Details: About 3,500 sq ft of living space on the first 2 floors. With basement is about 5,000, however basement is not going to be finished at this time. I share this as I believe the distance between smart devices is important but help me out here. 1st Floor: Foyer, Office, Kid Play Room, Dining Room, Large Family Room (open to 2nd floor ceiling, Kitchen, Small Hallway and 1/2 Bath, and 3 Car Garage. 2nd Floor: 4 Bedrooms (3 on One Side, Master on the Other), Laundry Room Near Master Bedroom, Guest Bath, and Large Master Bathroom & Closet. My goals are pretty extreme. I want nearly every outlet and switch to be smart, everything integrated, lights, sensors, cameras, everything to be controlled by voice (even TV hence the Logitech Harmony hub), etc. Also, I’m looking to install router, all hubs, etc in the basement so they are out of sight. However, I will have the upstairs washer room wired with an ethernet jack, so can install another router/booster if needed. Make sense? Ok, now let me try and articulate how I’m set up my draft schematic. Almost every room in the house will have a ethernet jack wired into it (all bedrooms, office, kid play room, family room, garage). Just seemed smart to do that while we are building. Ok, so let me say that as of right now, other than the outlets for washer/dryer, and my basic kitchen appliances, EVERY other outlet in the house is the GE Z-Wave. Also, in some rooms, for example the 1st floor office, I am planning on wiring running GE Z-Wave On/Off Switches with the GE Z-Wave outlets in the room (6 outlets/2 switches, so 3 outlets per switch). I know that may seem a bit unnecessary, but since the smart outlet only has 1 of the 2 plugs as “smart” I like the idea of being able to mix and match ultimate control over the outlet. For instance, I could have a light and modem plugged into the outlet, turn off the light via the outlet, but if I really wanted everything turned off, I could turn off the entire outlet via the switch. For rooms with chandeliers, I plan on installing the GE Z-Wave dimmer switch. To the extent we will have recessed lighting (family room), I plan on just using a GE Z-Wave On/Off Switch and the LIFX bulbs. I like LIFX over Philips Hue because they are brighter and do not require a hub. Since LIFX integrates with Google & Smartthings, I will be able to dim the lights anyway and change colors (and if I one day regret it, I can easily wire in a dimmer and use standard LED bulbs). I will have areas of the house like the hallways and garage where I’m going to run the GE Z-Wave smart outlets with no corresponding wall switch. I still want to be able to turn things on/off remotely, hence why I want the outlets. For instance in bathrooms, my wife is famous for leaving her curling iron plugged in. If I have the outlets, I can make sure power is cut from anywhere just in case she forgets. Ok, so hopefully from an outlet and light switch perspective that makes sense and you guys don’t see obvious issues with my grand plans thus far. Now let’s talk about security. On all of my doors, I plan on running the August Lock & Connect so I can lock my doors from anywhere in the world. I figure the locks, along with the SkyBell doorbell should be pretty cool. As far as cameras I’m up in the air and need advice. Let’s talk outdoor cameras first. I’ll likely run about 5-6 outdoor cameras. How do you feel about hardwiring cameras, vs plug-in (for power) wifi cameras, vs wire-free (battery & wifi) cameras? I have the opportunity to simply wire the house for outdoor cameras, but I’m not sure that’s the route I want to go. There are 2 options I’ve been exploring. The first option is simply going with the Arlo Pro outdoor cameras, which are completely wireless (run on battery and wifi). I know I’d be swapping batteries every 2 months for high traffic areas (4-6 months for lower traffic areas). Downside to Arlo is that you can only run 5 cameras on 1 account so if I wanted to use them for indoor as well, I’d need to pay a monthly subscription plan. The second option is maybe the Nest outdoor cameras, but with a twist. I’d have the electrician run power wires from the basement to the outdoor mounting locations, and then I’d install the cameras myself, splicing (cutting the nest power wire) the power wires together and then plugging all of them in in the basement. That way I don’t need to mess with batteries. I like the Nest/Arlo cameras because they have the 2-way audio/video so I could talk to intruders (or anyone else) from any camera vs just seeing them. Obviously, there is a 3rd option in which I buy a home security system with hardwired cameras and the recorders, etc…I just don’t know if I need all that jazz. I’m hoping Alro Pro comes out with 1080p cameras by the end of the year when I’d be doing this. Also, in regard to the cameras I was thinking I’d run standard outdoor flood lights (hooked to GE Z-Wave smart switches from inside the house) and mount my smart cameras just under the flood lights. Then when the cameras sense motion and turn on, I would also have my flood lights turn on during night time. Essentially, creating motion sensing flood lights. Make sense? Also, if I use the LIFX+ bulbs in the flood lights, will the infrared really help my outdoor cameras see better at night? Not to get too sidetracked, but what about Lorex POE/NVR 4K system? I know the cameras can’t do 2 way audio, but they are a lot clearer and better cameras. Does anyone know if the FLIR app on Lorex systems can be integrated with Smart Things? Or through IFTTT? For instance, would I be able to do the motion sensor idea to have the flood lights turn on? What about battery sensors vs trying to get hardwired sensor while the house is being built? Any thoughts here? I know very little. May be way too expensive to wire every window/door in reality. In terms of smart cameras I’ve been looking at Nest, Canary Flex and Arlo Pro. Focusing on the outdoor setup, Nest needs to be plugged in, so if I went that route, I’d have to get my electrician to do as I noted earlier, and run electrical wiring to each mounting spot, cut and splice the power wires myself and then plug them all in in the basement on 1 electrical strip. I don’t want wires running down the inside of my walls. The Canary Flex seems decent, but the Arlo Pro consistently gets better reviews and seems to work better. Anyone have any strong feelings about camera set ups? What about Nest vs Arlo Pro. Is one a better camera than the other when it comes to night vision, etc? As far as indoor, I think I’m going to stick with battery powered cameras so I don’t have wires to hide. Likely Arlo Pro. Only problem may become how many cameras I can operate on 1 account/hub with the Arlo. If I use Arlo for both outdoor and indoor, I’d be looking at their Elite plan for up to 15 cameras I guess. Nest doesn’t have a limit on cameras, correct? Other thoughts? Let’s now talk Audio/Video. I am looking to have audio throughout the entire house. I like the idea of Sonos, but I am not mounting speakers on every wall in my house (I don’t like how that looks). I am realistically going to have to do mostly in-ceiling/in-wall speakers throughout the house and they look super clean when installed. However, I also want a surround sound setup in the family room where our main TV will be. All of this being said, I need to figure out how I can wire all of this together so I can have different rooms playing different music, or all the same music, all hooked together. So for instance, I need a way I can triangulate my 5.1 surround sound in the family room so the 5.1 surround actually works when we watch movies, but also have these speakers integrated with the 20 other speakers I’ll have throughout the house for when we want to play music. Any thoughts? I am a bit out of my league here. I fear I am going to need a bunch of different Sonos like Amps (with Chromecast) in order to make this work, and then a separate entertain system amp for the surround sound that I hook something like Chromecast to. I am also looking to have a Haiku fan installed in the famliy room since this rooms’ ceiling is open to the 2nd floor. It integrates directly with Nest so should help save some money on my electric bill. Also, I’ve been reading about these smart vents that integrate with Nest as well to close vents in various rooms that either aren’t in use and/or the room is already at the set temperature (such that the flow of air is redirected to rooms that need it more). Thought that sounds pretty cool and the batteries apparently last around 2 years. Can GE on/off switches be used with flourescent bulbs (ie in the garage)? Do I have any issues with the “load” or amount of power being drawn on the GE outlets? For instance, in the garage if I’m running a big piece of machinery I may need a devoted 20 amp circuit. Can the GE outlets handle that? If I buy standard outdoor flood lights and use the LIFX+ outdoor bulb that emits infrared, will it really help my outdoor security cameras see better at night? I know inside the house it makes sense, but a bit skeptical for outside. I keep reading that dimmer switches can’t be used with smart LED bulbs. Any other guidance you can share? If I put all my hubs, etc in the basement does that cause any issues? Any reactions or thoughts you all have I would really appreciate. Thank you so much! Welcome! I’ve moved this to project so you can get individualized responses based on your own needs and interests. It sounds like a very ambitious project! Should be lots of fun in the planning. The first thing we should mention is that not all of the brands you listed are compatible with each other. The August locks don’t work with smart things, for example. Nor do the haiku fans. Nor does MyQ. There are other brands with similar features which do work with SmartThings, so it just comes down to what you specifically want. The first thing we should mention is that not all of the brands you listed are compatible with each other. The August locks don’t work with SmartThings, for example. Nor do the haiku fans. There are a lot of different things to discuss i’m pretty tired today so I’m just going to toss out a couple of things to start with. You might begin by looking and the quick browse lists in the community – created wiki in the project report section on the list for “whole house” and for “get started”. You’ll find a lot of discussion about some of the issues that you have raised there. Thinking on a big move to Hue lights, the real question is - what switches to use with them? If they’re all automatable via ST and other devices, do I really want to put them all on controllable switches too? There’s the advantage that I can arrange to ensure those switches are on so that the the Hue bulbs would be too…but it also leaves open the ability for folks to just turn them off and leave them off. Hmm. Thoughts? Well, that’s more than enough to get started with and I’m sure a lot of other people will chime in as well. Good luck with the project, it sounds very exciting! Thanks for the quick response! It’s funny, I had actually read most of those threads already haha. Where I got a lot of my current understanding. In regard to compatibility, August and Haiku do integrate with Nest, which integrates with Smart Things. And they also may (I need to check) integrate with Google Home. Since they do have cross-integration, doesn’t that mean something? Or, if not, can’t I still integrate everything through Smart Things using IFTTT? To be honest, I’m not sure how IFTTT or all this integration works until I’ve done it. Regarding Hub placement. Z-wave products can communicate with each other, correct? So wifi isn’t really a factor at the device level but only the Hub level, right? So if I have like 80 Z-wave plus outlets and 35 Z-wave plus switches, isn’t the network going to work in theory even with the hubs in the basement? Or are the devices themselves not repeaters? I think the only items in my list that have an actual Hub is Smart Things, Logitech Harmony and Arlo Pro. Everything else is through Wifi I believe. Also, I added it in my original message above, but what about Lorex 4k camera systems. Can the FLIR app integrate with Smart Things? Or through IFTTT? Devices which are repeaters will pass the messages around but you’re still better off with the hub in the center. Z wave has a maximum of four hops per message into the hub, zigbee home automation profile which smartthings uses allows for 15 into the hub and 15 out. So place the hub centrally and you probably double the coverage. This is all covered in detail in the whole house topics. There is no official integration with nest. Nest won’t allow it because smart things doesn’t Limit its Control of the devices the way nest wants. There is an unofficial integration, but using it is actually a violation of your terms of service with nest, and they could shut it off someday, you never know. That’s what happened with Chamberlain and myq. Does SmartThings work with Nest? As far as “A works with B and B works with C,” yes, that’s so, but it doesn’t mean A can issue commands that C will receive or pay attention to. You can’t get to the haiku fans from SmartThings through nest. There are other fan options that do work with SmartThings, so again you just have to do your homework and then decide what you want. Also, “works with” has different meanings in different situations. It doesn’t mean “gives you the same features and control options as the native app.” Some of the stuff that “works with” nest just means that nest will send a message if it’s in home or away mode. So you really need to look into the details of each potential integration. As far as IFTTT, that’s always an official integration, which is good, but it’s a very limited integration. Again, you have to check each service/channel to see exactly which features are available. For example, some devices will tell IFTTT that they have been turned on, but cannot be turned on through IFTTT. For other devices it’s the reverse. For example, the nest IFTTT service will tell you when it’s set at home, but it won’t let you set it to home. And it will let you turn on a fan, but only for your single default period. IFTTT is useful for many things, and I use it myself a lot, but it’s not a substitute for a full two-way integration. Do not combine smart bulbs with a smart switch that controls the current to the bulbs if you plan to use the switch frequently. The inrush current to the bulb will burn out the radio over time. This is true whether it’s a hue bulb or a Cree smart bulb or A zwave bulb or a LIFX bulb. Smart bulbs are intended to always be on full power and then the bulb will decide for itself how much current to draw. See the user guide for any individual bulb you’re considering using. Again, there are ways around this, they are discussed in detail in the hue switch FAQ. But the short answer if it is if you are using the GE smart switches, you should plan on using dumb bulbs with them. If you want the color changing features of smart bulbs, then check the FAQ. There are some Devices that allow for each outlet to be controlled, you might want to look into those for a project of your size. As far as infrared and outdoor cameras, yes, it works very well as long as the infrared is positioned correctly. The August locks aren’t going to work with SmartThings. If you’re going to use SmartThings as your home automation controller just look at any of the locks that do work with it. You can check the official compatibility list, but both the Yale and Schlage zwave are good locks. If you’re going to get into DIY home automation like SmartThings , you just need to get in the habit of reading the specs for every model that you are considering. There’s a lot of variation even within a brand. For example, one Switch might work just fine with fluorescents and another might not. If you’re having trouble understanding the spec sheets, just ask in the forum and someone will be glad to help you. If you don’t want to read spec sheets, you might consider homekit instead. There’s a much smaller selection of devices to choose from, but everything works with everything else and it’s all pretty straightforward. You can get an August lock, an ecobee thermostat, Hunter Apache fans, and any of several switches and it’s just a much simpler system to spec out. If there’s a HomeKit logo on the box, it will all work together. SmartThings is a much more flexible, versatile system, but the cost of that versatility is that you do have to individually verify that each possible device will work in the way that you want it to work with your other devices. It’s a lot more work, both before and after installation. That’s still worth it to many people, but it’s just a decision you have to make for yourself. Thank you so much for your help and input. I need to do some more reading. I have read a lot of the threads on here, but maybe I’m not as smart as you guys haha. This stuff just doesn’t come very natural to me. I honestly was under the impression that IFTTT “cured all” as far as integration goes. Now I’m understanding that is not the case. This stuff is overwhelming! As far as hub placement, that’s fine. I can think about where in the house to mount everything more centrally. Or could another option be to run more than 1 hub? To your point on Zigbee, should I get the GE Zigbee outlets/switches instead? That’s really a shame that these companies won’t integrate. I really liked the integration between August, Keen Smart Vents, Haiku and Nest. So that’s just something I need to think about. Maybe it’s worth it to monitor the HVAC/Fan setup through the separate apps. It’s not the end of the world I guess. However, I will look into the Hunter options as well and see if I can’t convince myself of something else. Maybe I could just buy a cheaper fan, and use a GE Fan switch to control the fan? And forget about the “nest integration”? For garage doors do most of you use the GoControl Linear for garage doors? Seems easy enough. For HVAC, instead of Nest I could run the Honeywell Z-Wave. Then run fans on GE smart switches like I mentioned. It looks like Keen Smart Vents also integrate with Smart Things, so I assume I could set them up to also interact with my Honeywell thermostat to regulate the temperature in each room? Perfect if so. Locks I can use Yale or Schlage, that’s fine. As far as the switches and bulbs, that is something I have read a ton on and thought I understood. I know you can’t pair a smart dimmer switch with a smart bulb (LIFX). but I thought you can pair a smart On/Off switch with the LIFX bulbs since the on/off switch isn’t adjusting the current. Maybe I wasn’t clear in my original post. I am only going to use a smart dimmer switch with chandeliers in the dining room and/or foyer. But I’ll re-read that FAQ now. I’ll also look into devices that allow for each outlet to be controlled. I looked during my research and didn’t find any, but perhaps I haven’t spent enough time looking! I don’t mind reading spec sheets. My OCD has to know everything. I assume Wink vs SmartThings both present the same level of integration problems. Everything I’ve read thus far has led me to SmartThings over Wink. Can I ask a basic/dumb question? Some of the items I’ve mentioned that apparently don’t integrate with SmartThings, DO integrate with Google Home. So, how does google home interact with Smart Things? Is the Google Home kind of like it’s own “hub” even if I didn’t buy a SmartThings hub, but only to the extent a device actual integrates with Google Home? So for instance, I could pair my Google Home with Nest, LIFX bulbs and control them by voice…but any Z-Wave devices like the electrical outlets and switches, I MUST have a smart hub (smart things) in order to control them because Google Home won’t, correct? It probably doesn’t matter, because I think I found all my device nows that integrate with ST.
Off to do more reading now, because I’m clearly still confused haha. I’m a very literal and OCD person so sometimes it’s hard for me to grasp how everything “talks” to one another until I’ve spent hours setting it up. But I’m learning. Appreciate all of your guidance thus far. I need a little hand holding at first, but once I’ve gone through this stuff once, I’ll be a value add to the community. I will probably write-up an entire thread once the house is done for future 1st timers like myself. Like Amazon Echo, Google Home isn’t a hub even if a lot of the reviews say that it is. That’s because it can’t “establish” a network that your other devices will use. Instead, it’s really just a voice interface. When you say something to it Google home will parse that and turn it into a phrase that the controller for the home automation device will understand. Then Google Home just passes that phrase over to the home automation controller and leaves it up to that controller to actually control the end device. Wi-Fi Devices or cloud to cloud integrations that don’t require a controller really work the same way – – Google home is just going to come up with a phrase that the device can understand and pass it along. So there’s no way to use a Z wave or zigbee device directly without also having a controller/hub because Google home doesn’t have a radio that can communicate directly with those kind of devices. Instead, it will use the Internet or LAN to pass A request over to the hub for that device, and the Hub will actually send out the radio signal that the end device will hear. So if a zwave or zigbee device says that it is compatible with Google Home, what it really means is that its hub can talk to google home. But the hub is still required. As far as smart switches and smart bulbs, even a plain on/off switch is controlling the current to the bulb if it is on the same circuit. Switch is off, no current. Switch turns on, big inrush of current to the bulb because that’s just the way light switches work. Nonnetworked bulbs can handle that inrush. Unfortunately, the radios in smart bulbs just can’t. They will tend to overheat and get damaged over time. Something like an occasional power outage isn’t usually a problem, but a switch that you are turning on and off every day probably will be. First thing I’d suggest is on the door & window sensors: make them hard wired, hidden, on a low voltage circuit with battery backup. No reason to have to spend the remainder of your life in that home replacing sensor batteries, or looking at ungainly sensors. Second thing is to ensure your services (cable, ISP, etc) come in and are routed to a place that allows you to centrally position your Ethernet hub. Third is to have at lest one Cat 6 home run from each room in the house. Wired Ethernet is more reliable and more secure than wireless. Fourth is to ensure all your electric is properly configured. Ground loops interfere with all kinds of things. Fifth is Solar. New solar roofing materials look good, are durable, and generate a lot of power. Built into your mortgage, a solar configuration can become a virtual profit center from day one. The Z wave thermostats are popular for people who want a reliable budget solution. The ecobee is probably the most popular full featured smart thermostat with an official SmartThings integration , with features that rival those of nest. And, yes, keen vents can work with SmartThings regardless of the thermostat you are using. I would choose zwave light switches over zigbee unless you have a really compelling reason to use zigbee for a particular device. Strong Wi-Fi can drown out zigbee, but will not affect zwave. Consequently, “fixed location” devices like door locks, automated window coverings, light switches, and outlets, are usually zwave just so you don’t have to worry about Wi-Fi interference. Battery operated devices which can be moved around if necessary can be either protocol, and zigbee has some advantages for those, such as typically faster response rate. @Glen_King thanks for the input as well. So, as I’m sure you know, after doing some research there are no hardwired z-wave sensors being offered yet. However, I’m considering just having ADT come out and wire the whole house for the ADT Pulse so I still have security even when internet is down. I assume at some point in the future it will be able to integrate with smart things. It already works with Alexa apparently. I saw a thread on here where someone has figured out a way and is selling a kit to use hardwired sensors to work with smartthings, but it’s a bit over my head technically. ADT may be my best choice. I will have Verizon. Their main hub/install will be in the basement. But I plan on having Cat 7 hubs for ethernet, coxial, HDMI, phone is basically every room, including our washer/dryer room on the 2nd floor. So couldn’t I just install my router by one of the Cat 7 hubs and my ST hub basically wherever I wanted (or have the Cat 7 connection to plug into)? Yes, I am going to talk to electrician about installing Cat 7 in almost every room (not quite all). As far as electric, I already had noted I need to ensure all boxes have a neutral wire and are deep enough. I’ll consult the electrician early on. Hopefully he/she is experienced with some of this. We aren’t going to do solar. I already had called Solar City after Elon announced the new roofs. It’s still too cost prohibitive. Especially in areas with higher real estate taxes. Maybe one day. We lease our solar system. Zero down and we started saving money immediately. We pay the solar company every month a fixed amount, but their rate per kilowatt hour is less than that of our local utility, so it was easy. If you lease, your property taxes are not affected. Otherwise, depends on where you live, some states exempt solar power equipment from property taxes. First off, congratulations on building a new home! Lots of fun (and headaches), but it’s great to have a hand in shaping the space from the beginning. With how extensive you’re planning the integration, it might make sense to get the assistance of a dedicated installer and maybe even consider one of the premium HA systems like Crestron, Control4, etc… Might be cost-prohibitive or not meet your goals (not sure how well they integrate with Google Home and the like); but you may learn something in the process even if they aren’t the right fit. Cameras: Both indoor and outdoor, I’d recommend wiring the locations with Cat6 then use POE cameras. Done right, no wires will be visible. Home run all the lines back to the central area in the basement where your equipment will be. 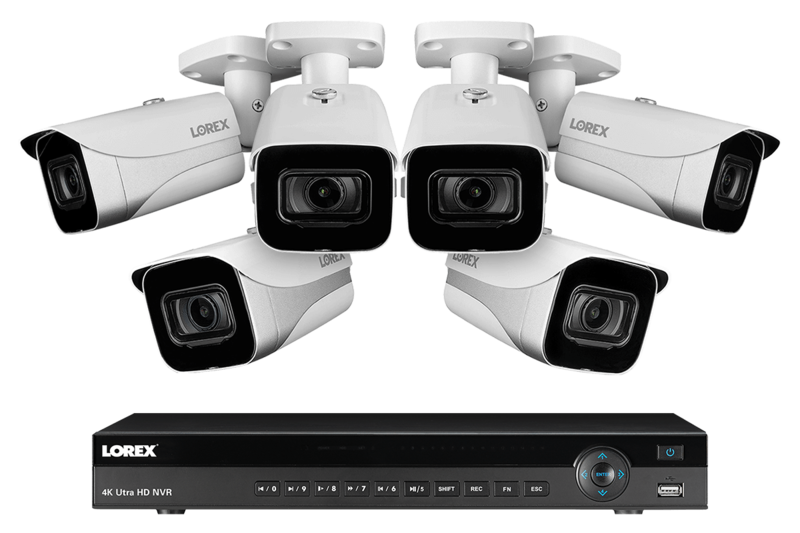 A 16 channel NVR with POE will take care of power, recording, setup, etc… Choose a system that will work with most standard IP cameras in addition to their own brand (Lorex and Amcrest are popular) (Note: Some POE cameras can do 2 way audio. Typically that’s reserved for indoor cameras and is most often found on wireless versions that are intended as baby monitor substitutes.) The world is moving wireless, but as @Glen_King said in his 3rd point, wired is still a better option when it’s practical. Save the wireless bandwidth for other stuff. Outlets: I would be more selective about which outlets need to be smart vs dumb. A house that size will be required to have 100+ outlets just to meet code, and you will most likely have many that sit unused or don’t really need a smart outlet. Save the money and plan which outlets you know you definitely want to be smart. It’s pretty trivial to change an outlet from dumb to smart afterwards if you find you’re using the space differently. I’m also not sure if the GE outlets can be used in GFI locations, which could impact bathrooms (aka that curling iron plug), kitchen and garage outlets. Audio/Video: You are correct here that either Chromecast or Sonos will be your best bet for this. If you go Chromecast, you will probably need 2 multizone amps like those made by Russound with a Chromecast connected to each zone (zone is typically a stereo pair in a room, but can include more than just 2 speakers if you always want them to play at the same time and same source). You will also need a receiver of some sort for the 5.1 in the family room that will power those speakers with a Chromecast plugged in to it as well. The one trick is that you’ll need a connected way to turn on the receiver and change the input to Chromecast when you want to include it in the music playing. The multizone amps generally have autosensing and will turn on/off when music is fed to them. This will probably be cheaper than Sonos, but that’s a lot of wifi devices. For Sonos, you would probably get a Sonos Connect Amp for each zone, plus a Sonos Connect for the 5.1 system. The Sonos Connect Amps have two Ethernet ports, so you can daisy-chain them. Each one can power 2-4 speakers. Thanks for the reply and comments! I’ll probably stick to what I’m planning, so no Control4 for me. 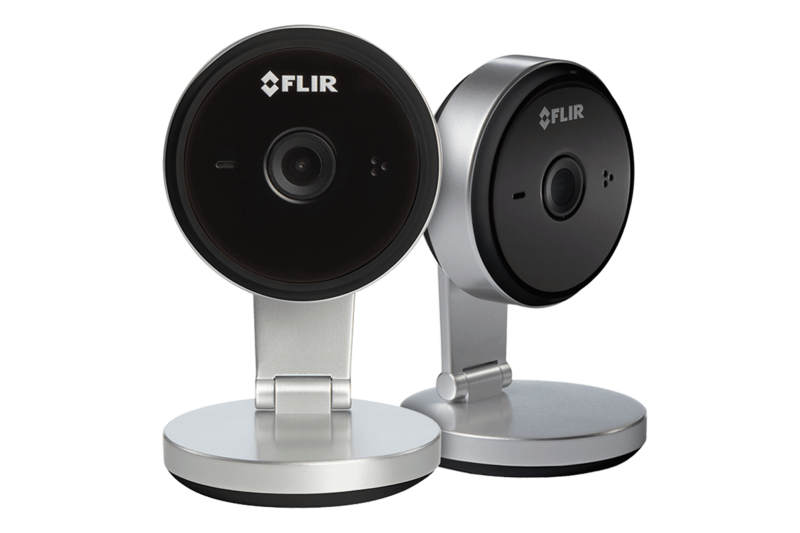 As far as indoor cameras, FLIR makes a 2k camera that needs a power source (plugs in) and I may get a couple of them as well vs going all wire free cameras like the Arlo Pro. 2k vs 720p is night and day, so the FLIR camera is clearly better (pun intended). They also have 2-way audio. A home WiFi security camera with 2K video resolution (2 x HD 1080p) and RapidRecap® that lets you see your entire day in a minute. The one thing I’m not sure of yet is if the FLIR app (for both the POE 4k NVR cameras and the 2k camera) can integrate with SmartThings. I assume no. But I’m wondering if IFTTT could be used? Any thoughts there? And great point on the outlets. You’re correct that the Z-Wave outlets are not GFCI outlets, so the kitchen, bathroom outlets will be dumb outlets. The only around that could be to potentially install the thing (forget what it’s called) behind the outlet that hooks to wifi to make dumb outlets, smart. I have been looking at the Russound amps. They make some that are like 16+ channels I think, so I may be able to get away with 1 for now and then buy more as needed. I don’t necessarily need the entire house to be a separate zone right away. As long as the speaker wire is ran, it’ll be easy to upgrade later. I think I can use the Harmony hub to control the Russound amp to change zones, etc when I want, correct? Connect your existing wired alarm system to a smart home security system using SmartThings or Home Assistant. No more monthly fees! ADT is a good choice for many people. It’s a reliable, operates as you noted even if there’s no Internet, and has the feature selection that most people want. Usually the biggest complaint about it is the cost, but there are literally millions more people willing to pay that cost then who want to go through the hassle of a do it yourself system. So I would certainly talk to them and see what you think. As far as control4, I also think it’s worth talking to them. They do a great job of integrating whole house sound systems, something that most other options, including SmartThings, just don’t do well. It can’t hurt to see what they suggest, and it might give you some additional ideas if nothing else. And control4 does work well with Google home and actually with many of the other devices you mentioned as well. Use GFCI at the breaker - easier with modern baths and multiple outlets anyway. You MAY (or not) need arc fault anyway, depending on code. Don’t sweat neutral - ANY electrician doing new wiring should have neutral at every box (code as well) . Spend the few cents difference for deeper boxes everywhere. That way it;s easier to change in the future. Your electrician should appreciate as well. Talk photos of every open wall - plumbing, wiring, HVAC - label, note which wall and direction. Even if you seell it makes a great book for later users. Keep a book of this, paint colors, tile, flooring, etc. etc. They do sell books just for this as well. The question of GFCI outlet versus GFCI breaker is complicated by the fact that different electrical inspectors interpret the NEC differently on this point and there are also local code differences. In particular, some jurisdictions do not allow the lights in the bathroom to be tripped by GFCI fall at an outlet. They consider this a safety hazard if the room goes dark. There are also individual inspectors who hold the same position. So you just need to check your local code. I believe code (at least is some locales) requires bathroom lighting separate from outlets. Some places do require bath lights on GFCI, others do not. Same as some require Arc fault everywhere with a few exceptions. Any capable or licensed should know both the code requirements and helpful suggestions. As for my OWN suggestions - I would not only have ALL lighting on separate circuits for each area I’d separate walls or physically separated areas with separate breakers. Then, I run generator circuits that will light or power rooms as needed without trying to cover every single appliance or outlet. I’d recommend getting the Ring Video Doorbell Pro instead of the Skybell HD. In every comparison or Ring Pro review, you’ll read that it’s way better than the Skybell. It does cost a bit extra but it’s definitely worth it. As for the security camera, Arlo Pro is a wonderful choice but as you’ve mentioned that you want a 1080p camera, a great alternative is the Nest Cam Outdoor. In the Arlo vs Nest comparison, the main difference is that Nest can be a bit costly since it unleashes its full potential when Nest Aware subscription is bought. Since you consider getting other Nest products, buying the Nest Cam Outdoor can work perfectly for you.